Students who need additional funding for their college education have a number of options available. 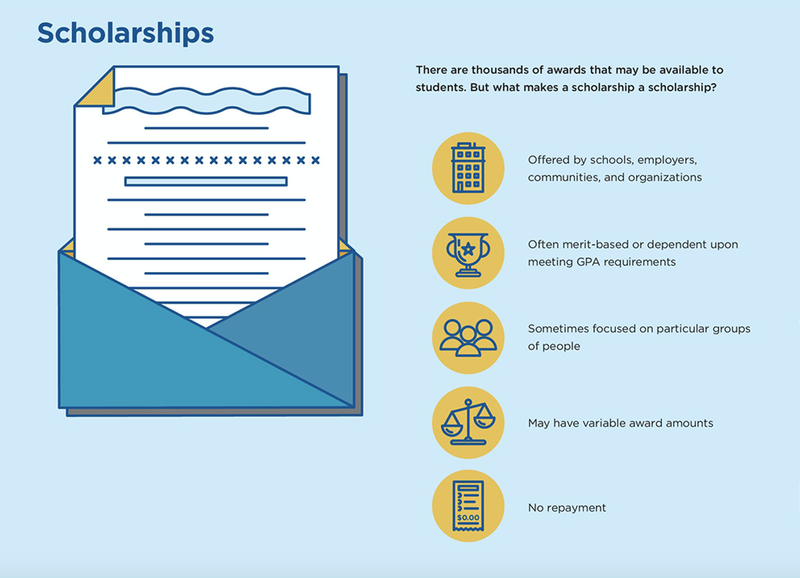 The following infographic explains the requirements you may need to meet in order to obtain possible scholarships, grants, and student loans. 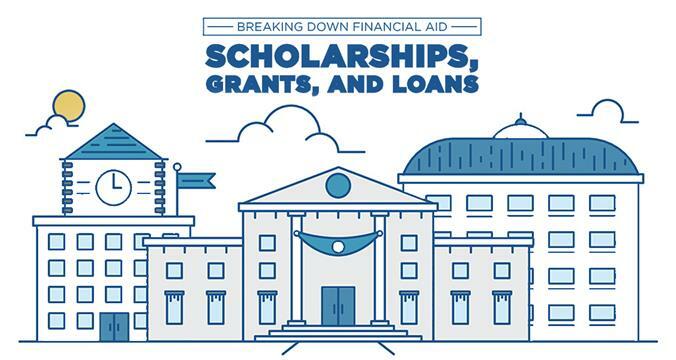 Learning how to pay for college can be a confusing process, and trying to understand the different forms of financial aid when you're balancing classes, tests, and homework only causes more stress. 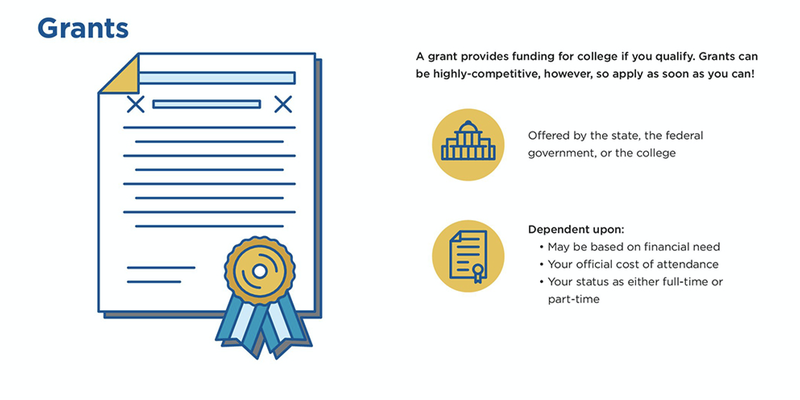 To help you succeed, here's a look at the differences between scholarships, grants, and loans. Scholarships & Grants: Generally speaking, scholarships are merit-based. This means you have to meet minimum GPA requirements in order to apply for funding. Furthermore, you have to maintain a minimal GPA in order to receive ongoing funding. The latter requirement also applies to Pell grants. Student Loans: For federal loans, students must maintain satisfactory academic progress in their higher education program. 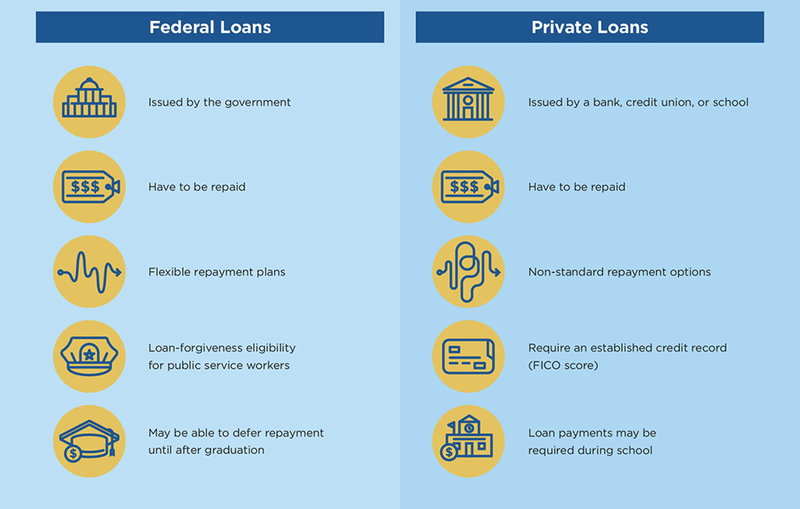 This is not necessarily the case for private loans, but each private financial aid package can have its own specific requirements. Grants & Scholarships: Grants, along with certain scholarships, may be given on the basis of financial need. This means that the less income you have, the more likely you are to receive funding. Student Loans: Federal loan requires applicants to demonstrate financial need. Private loans typically require a co-signer that has sufficient income and an established credit history. Most financial aid options maintain that the applicants are U.S. citizens or legal permanent residents. There are some scholarships designed for particular student groups, such as minorities, women or older/returning students. Lastly, you will only be eligible for these various financial aid types if you adhere to all the application deadlines. Bear in mind that these are general requirements. You can expect to come across unique criteria, especially if you apply to scholarships or grant. Study each financial aid option carefully to ensure that you qualify and meet the requirements for both obtaining one-time or ongoing funding. This post has been provided by our friends at Carrington College.